Hello my lovelies! I know I've been a bad blogger again and didn't post much this week. Well my only excuse is that I had a really busy and stressful week at work. At least the weather is great and we can still enjoy wearing our summer clothes. I don't know about you, but I feel that this summer went by extremely fast. I am really not looking forward for autumn weather. And speaking of summer, today's manicure is all about the neons. 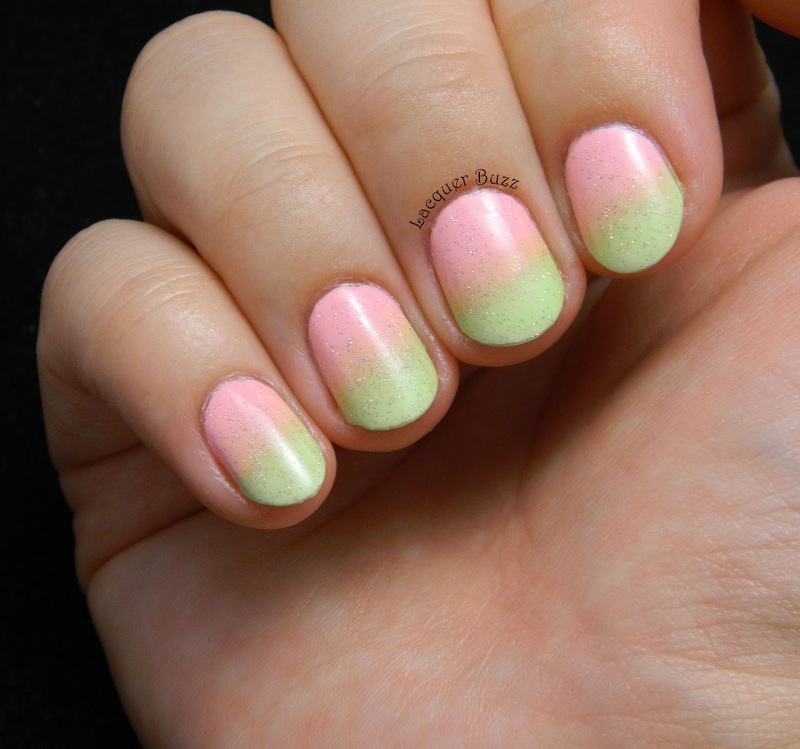 I created this gradient using my two favorite shades from this year's summer collection from China Glaze. They are both very bright and gorgeous, so I think they go well together. The two shades I'm talking about are Be More Pacific (green) and Feel the Breeze (pink). 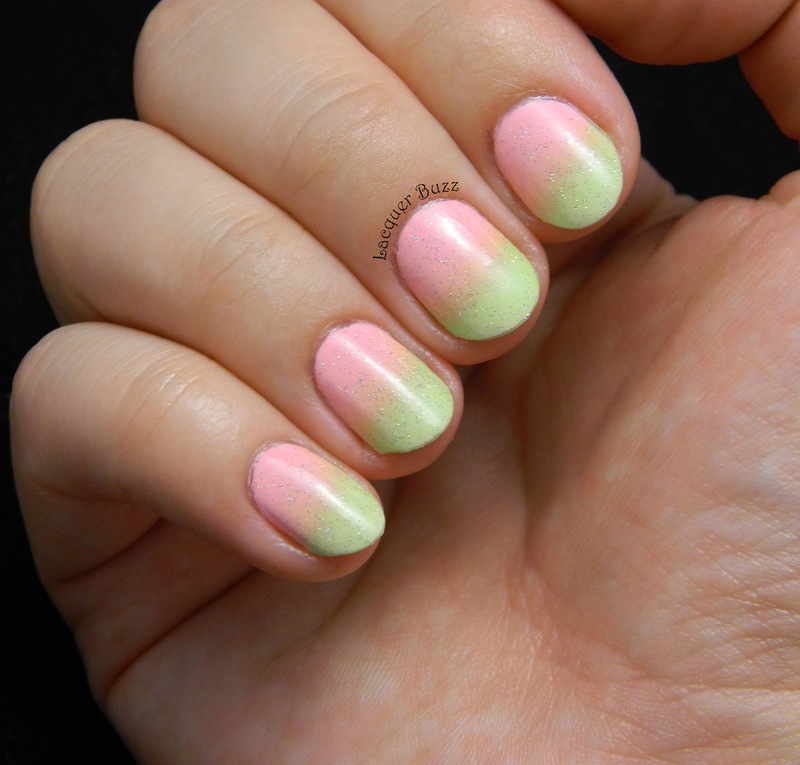 I created a very simple gradient using these two polishes and then added a coat of INM Northern Lights to give it a little sparkle. The pictures didn't come out that great but I thought I would show them to you anyway. I was in love with how this manicure looked on the nails. Every time I do a gradient I swear to not do another one for a while because the cleanup is incredibly annoying, but then I end up doing them constantly and it's totally worth it every time. Here's a direct light photo to show the holo effect of the glitter. See? Totally gorgeous and unique! I will surely miss the neons now that the summer is over but maybe I'm gonna revisit some of them in the cold season as well. After all, we are the only ones who decide what we wear on our nails and it should always be what we enjoy most. I always love your gradient and this one is just as amazing. These two colors look so good together. 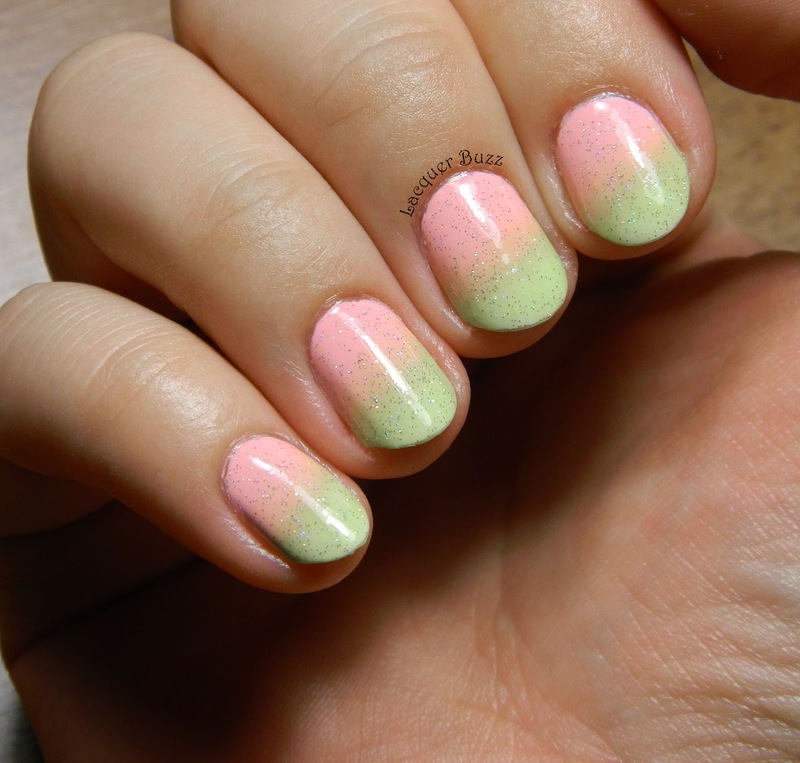 This gradient reminds me of candy for some reason! Looks yummy! Right? I was amazed by how good they work together. Thank you! Multumesc! Din pacate a fost un cosmar curatatul din cate imi aduc aminte. A fost un pic frustrant si nu arata bine nici dupa aia. Le-am tinut numai o zi.